Vatican City, Jun 25, 2008 / 04:51 pm (CNA).- In interview published in the Wednesday edition of L’Osservatore Romano, Pope Benedict’s new Master of Pontifical Liturgical Celebrations, Monsignor Guido Marini, says he believes that people receiving Communion kneeling and on the tongue will become common practice at the Vatican. Msgr. Marini’s comments were made during an interview with Gianluca Biccini on some of Pope Benedict XVI’s recent liturgical decisions and their meaning. Biccini noted in the exchange that Pope Benedict distributed Holy Communion to people who knelt and received the host on their tongues during his visit to Brindisi (Southern Italy) last week. “In this regard it is necessary not to forget the fact that the distribution of Communion on the hand remains, up to now, from the juridical standpoint, an exception (indult) to the universal law, conceded by the Holy See to those bishops’ conferences who requested it,” the liturgical master of ceremonies reminded. 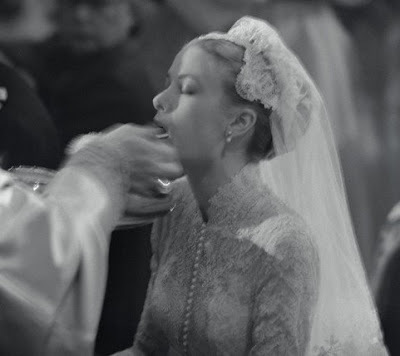 Canada, Mexico, the Philippines and the United States are all countries that have been granted an exception from the universal practice of receiving Communion on the tongue. This entry was posted on Thursday, June 26th, 2008 at 4:49 am and is filed under Uncategorized. You can follow any responses to this entry through the RSS 2.0 feed. You can leave a response, or trackback from your own site.